Really old tee-shirt - I used to use it when doing my hair colour. Definitely time to bin it! I can't believe I'm showing this to the world! I can't believe I kept it for so long! Old Racing Green jacket - it was always a bit boxy on me. Gone! These are various exercises I've come across from Sketchbook Skool - contour drawing, drawing without looking at the page, drawing without lifting the pen from the page, etc. Bottom line, self-portraits are hard. I think I'll go back to mugs! Drawing with cross-hatching - I started this one as a contour drawing without looking at the page. Interesting that I ended up with the same little hook at the top as in the previous drawing! These were my blues - always the biggest wash in our household, as we wear a lot of blue jeans. I went into town on Sunday, to go to the Jordi Fornies exhibition opening (gorgeous paintings by the way, definitively worth the detour). I dressed up a bit and I wore a lovely little handbag, which is now immortalised in this drawing. The pattern was the toughest element for me. We were following a car for a bit on the motorway, so that became my drawing for the day on Saturday. Continuing with the cross-hatching and daily narrative themes. Here is my yoga mat. I go to yoga classes every Thursday with Paula at Danu Yoga. I could not survive without these classes - they ground me and dissipate all the worries of the week. Rain trousers. These were always too tight. I got a pair that fits now. A yoga top that never really worked for me. Continuing with the daily objects. 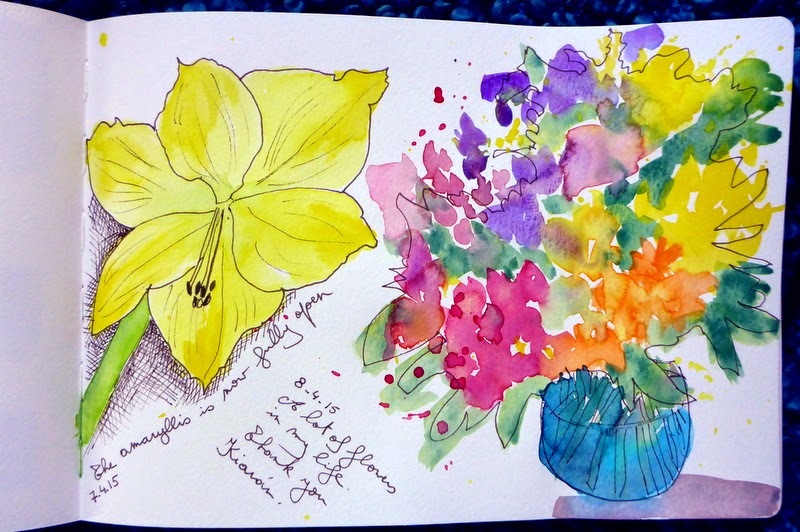 I drew and painted one of the open amaryllis. They lasted a week and were well worth the €4.99! 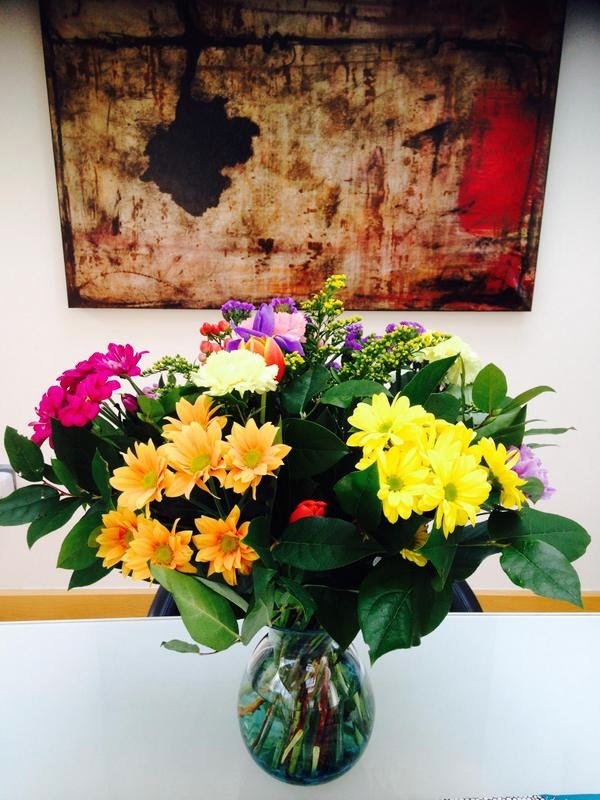 Then I painted the beautiful flowers I was given last week. For that one, I did a contour drawing first, then I splashed the colours around. Two different styles to capture two different bouquets. This is the last of the series. I'm taking a break from mugs! I'm doing a Craftsy class on sketchbooks right now, and I've just completed the lesson on cross-hatching. Something I'm not very good at - I lack the patience and discipline. But practise practise practise and we might see some progress. I'm also thinking of doing a Sketchbook Skool course some time and I got a sample lesson and received an email last weekend about creating a narrative in your art journal, by drawing an object that summarises your day. A great idea, as I often struggle trying to think up about something to draw. So I sat out in the sun last Monday afternoon, after a morning spent on the Dublin mountains, and drew my boot. A really old little cotton jacket, that I used to wear at yoga. Do you remember Racing Green on Grafton Street? They're long gone now, but they made fantastic clothes. I still have one or two items actually, like a long linen summer skirt. But this jacket is past its best and has to go now. 8 more things to find for my 30-day-declutter challenge. Struggling! This is starting to look like a mug now. I must keep on practising. Well, it was going to happen sooner or later. I got fed up drawing mugs. So I turned to flowers instead. A much more forgiving subject. They were still closed yesterday when I drew them, I'm telling you. I'll have to draw them again now that they have opened up. But don't worry, there will be more mugs soon. 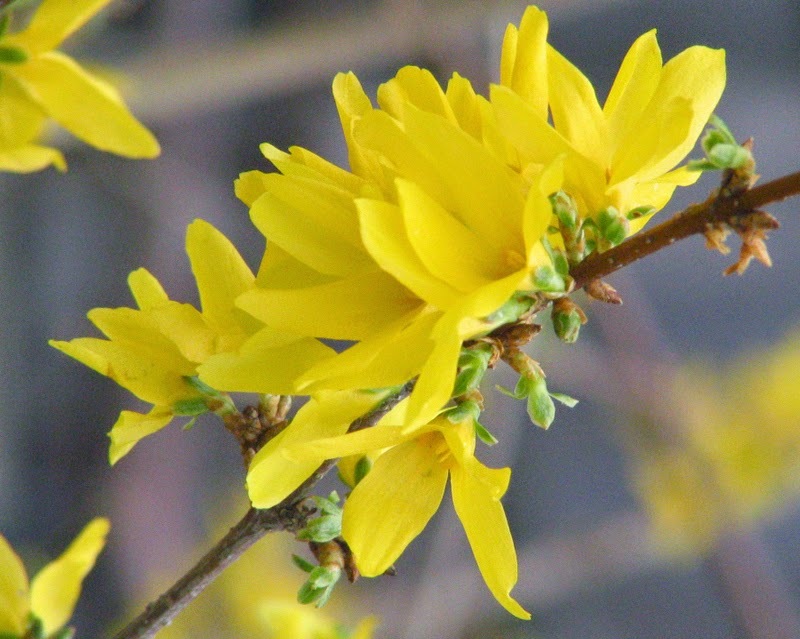 Spring has finally sprung, and I was inspired by the forsythia blooming on the side of the road not far from us. I'm not brave enough to take my sketchbook to the streets so I found a good photo on the web and drew from it. I was happy with my sketch, but then I started colouring a background in pencil and that was a disaster. I covered the pencil with dark marker. And the result wasn't much better. So I traced the drawing and transferred it to watercolour paper and made a nice little watercolour out of it. 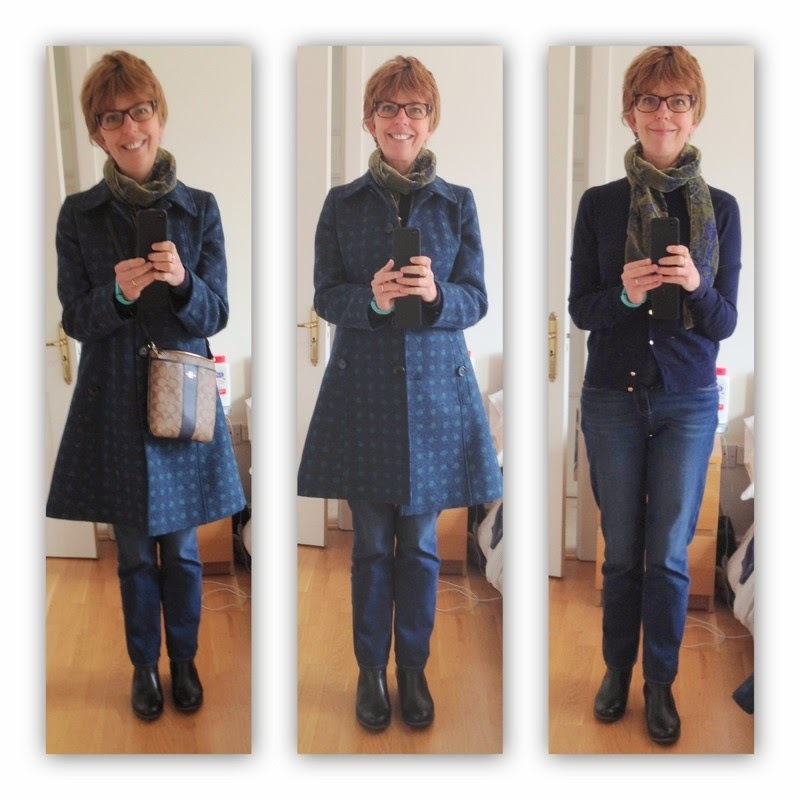 Boden trench coat. I've had this coat a good few years and never wore it much because the sleeves were too long for my short arms. But I loved the lining, so I couldn't part with it. I got the sleeves taken up now, so I expect to wear it more often.